Potassium is important in turf grass. 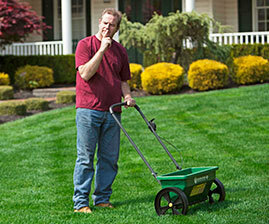 Nutrients supplied by soil and nature alone are frequently not enough for healthy grass growth. Potassium or potash, as it is sometimes called, is the third number listed on fertilizer bags such as 10-6-4. Potassium’s chemical symbol is “K” and is a macronutrient like nitrogen and phosphorous which means they are needed in larger (macro) amounts for healthy plant growth than micronutrients which are needed in smaller (micro) amounts such as iron, magnesium and zinc. Many lawn fertilizers emphasize the first number nitrogen because it helps grow green, lush grass, but potassium plays a critical role in plant growth and health too. Potassium assists in better water and nutrient uptake while helping synthesize proteins and starches. Potassium also helps the grass build thicker cell walls, stay healthy and strengthen the plant so it can withstand various stresses such as drought, heat, cold and disease. An application of potassium in the spring months can contribute to the grasses ability to withstand summer stresses better. Let’s explore how potassium deficiency affects grass plants. Some of these deficiency symptoms are Chlorosis, a yellowing of the leaves which may lead to shedding and defoliation. Potassium is a growth catalyst and a lack of it could lead to slow growth or poor root and stem development. Lack of proper potassium levels can lead to poor resistance to ecological changes. Reduced potassium availability will directly result is less fluid circulation of nutrients. This will contribute to your lawn being more susceptible to temperature changes and the grasses immunity to disease, harsh weather and drought will be affected since potassium is a “health booster.” If you have low soil pH there is a direct relationship between soil acidity and potassium availability in turf. Soils with low pH (under 6.2) will not only inhibit potassium uptake by plants, but many other key nutrients too. The most common types of potash are muriate of potash and sulfate of potash, which are both mined products. Most fertilizers utilize muriate of potash while golf courses frequently use sulfate of potash. There are many large mines worldwide including Russia, China, Belarus, Israel, Germany, USA, Jordan, Spain, United Kingdom, Brazil and Uzbekistan, but the granddaddy of them all is the Saskatchewan territory in Canada. Potash rock is mined and crushed and screened to various sizes for different markets. Different sources think the world supply of potash can last up 400 years! 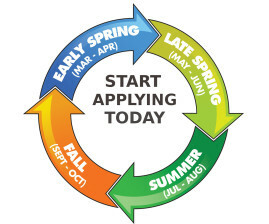 Fall feeding and seeding is a great time to repair summer damage. 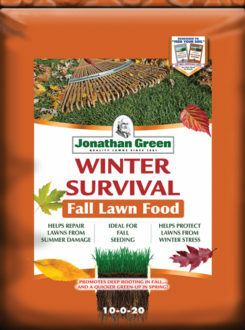 Winter Survival Fall Lawn Food increases turf density, enhances color and helps repair summer damage. The plants energy is concentrated on storing carbohydrates so feeding in the Fall helps the grass plants store food to survive the winter months and come out of dormancy next spring. It’s always a pleasant surprise when your lawn starts to green up in the spring before you even feed it. Fall is a good time to apply higher levels of potassium so the grass can better withstand the ravages of winter weather. 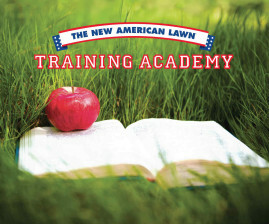 Frequently, fall-winter lawn fertilizer formulas emphasize nitrogen values but pay little attention to potassium values. Winter Survival is 10-0-20. A little iron and sulfur also can help to increase the “greening” effect of a later fall feeding application. Sometimes as I drive through my neighborhood I can always tell which lawns have applied fall fertilizer. Those lawns are still green while the others have turned a yellow-brown are already dormant. 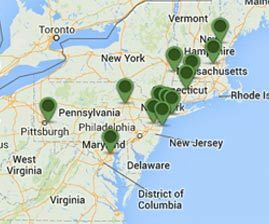 Remember homeowner’s cutoff date to apply lawn fertilizer in New Jersey is November 15th or December 1st if you are a turf professional. Now remember, it is fall and that means it’s time to watch and play football. Don’t be afraid to play some pick-up game whether flag football or a full blown game of tackle with the kids in the neighborhood, your lawn will recover by the spring.